Have you read my post about Looklet? 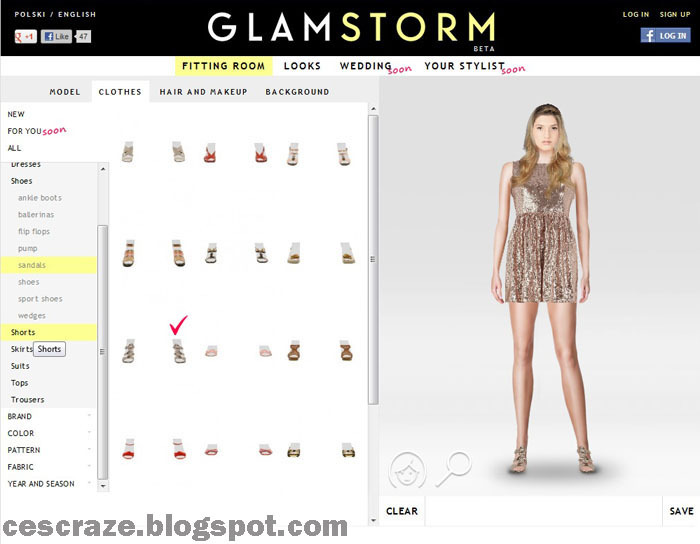 Well, someone from Glamstorm, a virtual stylist like Looklet, did. The site recently launched and they are encouraging people, especially those who love fashion to fuel their love for it through the site. I joined the site a few days ago but I haven’t explored the features fully because it takes time to load the pages probably because of my internet connection (with a site that is filled with graphics like this, it surely needs super fast internet). As far as what I’ve seen, the apparel as well as models don’t look as realistic as the ones from Looklet but I’m really looking forward for this site to improve. After all, they’re still in beta. Hopefully I’ll be able to create a look within this week.